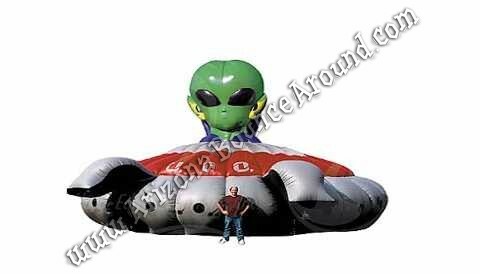 Our 40' UFO Alien Laser Tag maze has 4 entrance/exit doorways for flexibility at you're event, comes with 10 easy to use professional laser tag guns and staff to operate the game. 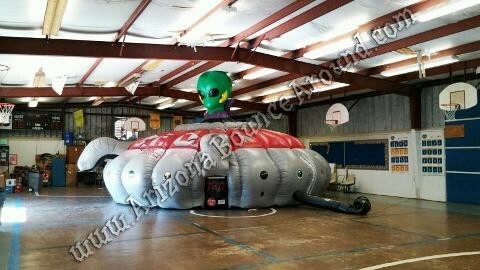 We offer this laser tag maze with 3 different looks. 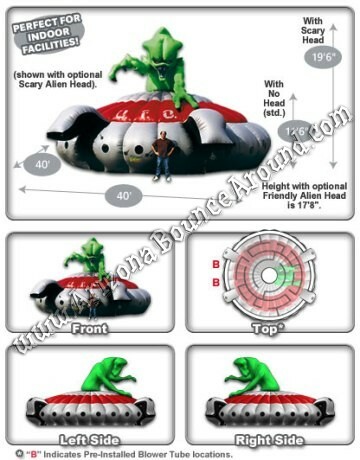 We have the scary alien head, marshian head or no head at all making it look more like a spaceship or flying saucer. You can also rent a fog machine to enhance the experience.